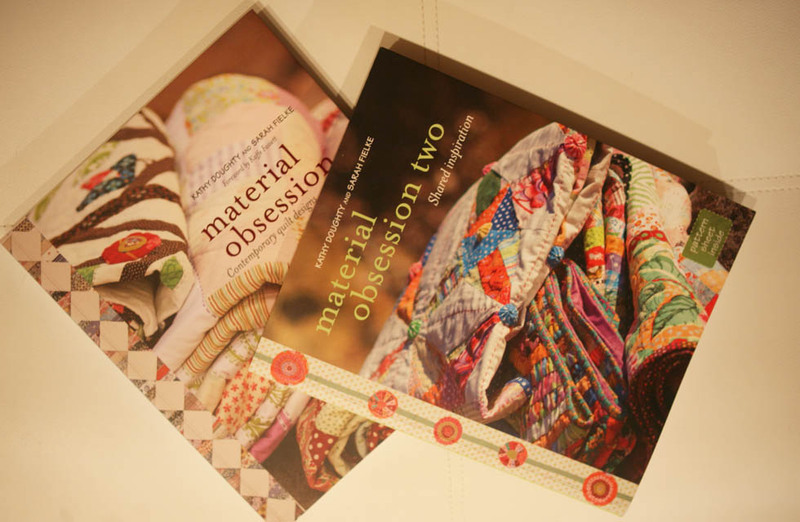 I recently ordered the ' Material Obsession' books from Kathy Doghty and Sarah Fielke. They are so wonderful and will be a constant source for inspiration. The quilt from the second book that particularly caught my attention is the 'Charlotte Sometimes' one. It has a lot of appliqué but the contrast of the dark backround and the bright colours is fantastic. 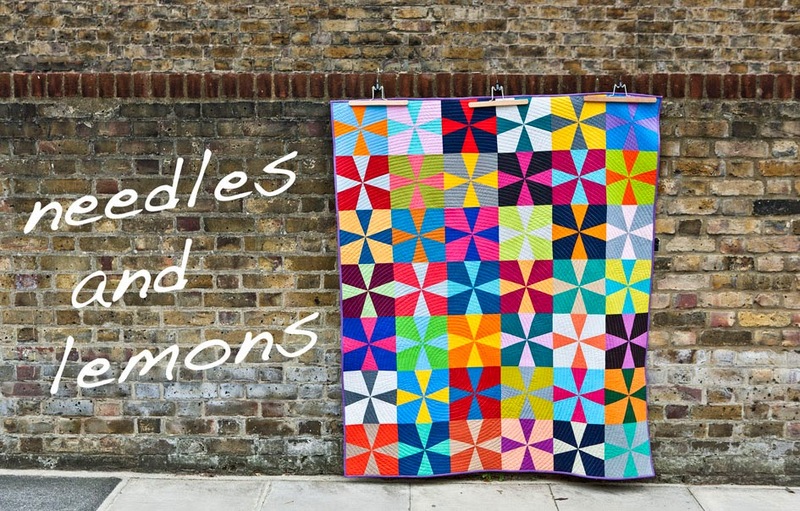 I happen to have a large amount of Philip Jacops and Kaffe Fassett fabrics that would be just fantastic for this. One just has to decide on an appropriate background colour. Perhaps something navy or brownish or I might go to the light side..... I am researching colour shots from Oakshotts Fabrics. I saw the company at the Birmingham Quilt fair and was rather impressed by their range. I called them up yesterday and they said they would sent me some samples so I can test the thickness an strength of them. That is it for now....got to go to work. 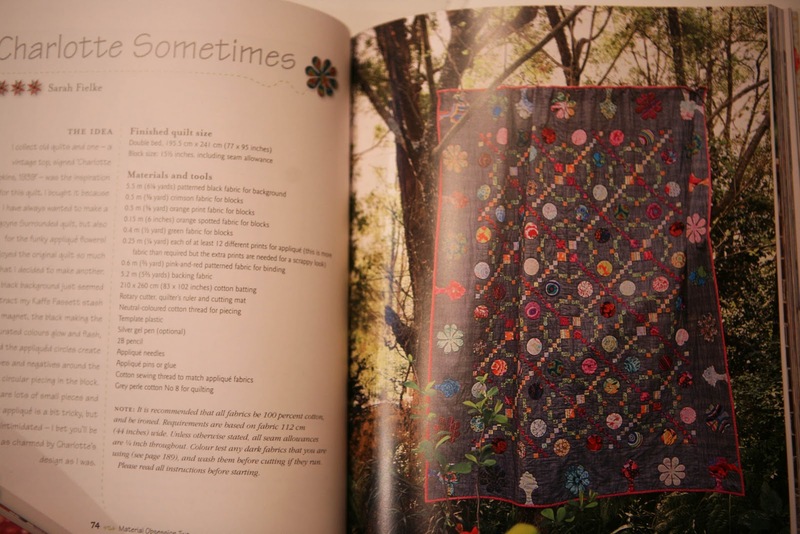 More posts about the 5 other quilts I already finished this year will come in the next days. And then I am up to date. Great books Judith , enjoy !